There's nothing like being surrounded by lush, colorful foliage while relaxing in a tropical paradise. 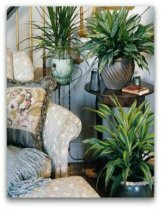 Strategically placed tropicals, subtropicals, and tropical plant "look-a-likes" create a cool and relaxing atmosphere. 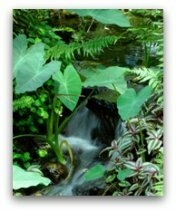 Discover how to create gorgeous landscapes and exquisite gardens using exotic plants and flowers. Learn how to design beautiful container gardens and stunning flower arrangements. 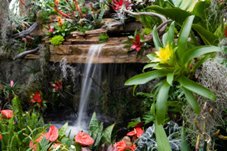 Unlock the secret to creating a tropical look and feel using plants and flowers that thrive in harsher climates. 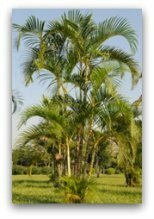 Tips on creating tropical garden and landscape designs. 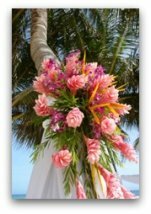 The top sources for planning and creating a tropical themed dream wedding or celebration. 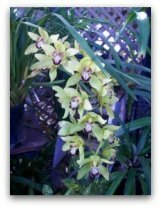 Secrets to choosing drought-friendly plants and flowers. 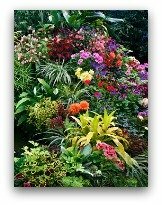 Best sources for all of your gardening and landscaping needs.